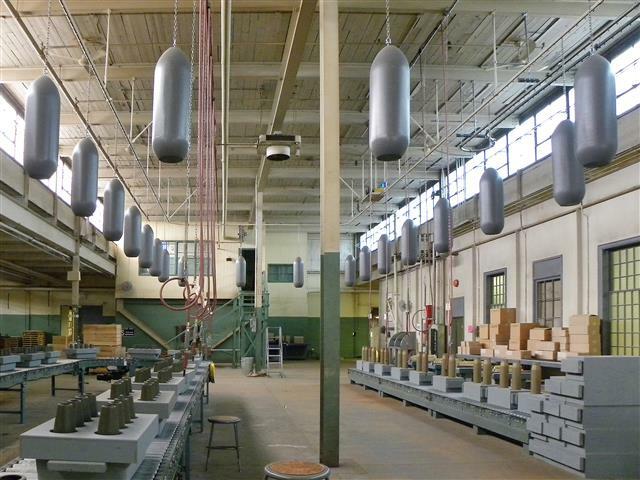 Home » Applications » What do Bombs, Blondes and Overhead Conveyors Have in Common? 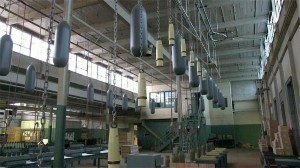 What do Bombs, Blondes and Overhead Conveyors Have in Common? Pacline Overhead Conveyors prides itself on producing one of the most versatile overhead conveyor systems on the market today – the PAC-LINE™. Although PACLINE supplies overhead conveyor solutions most commonly used in industrial applications, we have consistently received requests from customers looking to convey items in highly unique retail and entertainment type applications. You can check out some of these installations on our website and see for yourself how versatile the conveyor really is. 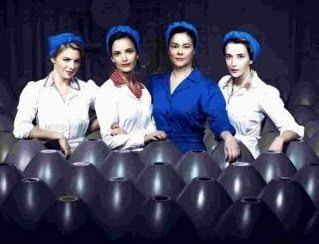 One recent conveyor installation we did was on the set of the Canadian produced TV series, BOMB GIRLS. This was actually a very interesting combination of conveyors in an industrial AND entertainment application. In case you missed it, the setting for BOMB GIRLS was in a Canadian munitions factory in the 1940’s. 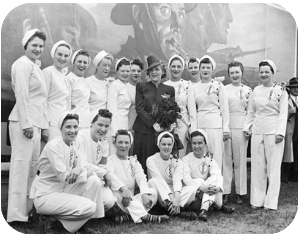 The show follows the stories of the women who risked their lives building bombs for the Allied forces fighting on the European front. One of the important scenes in the show takes place on the munitions factory floor – which is where the PAC-LINE™ overhead conveyors came into play. On the TV set, the overhead conveyor was installed at the ceiling level. The fake plastic bombs, each with a maximum weight of 30 lbs, were suspended from the conveyor on 4 foot centers and the conveyor was programmed to run at variable speeds of 2 FPM to 20 FPM. The conveyor was set up in one continuous loop to give the impression of a factory assembly line process. PACLINE engineers were able to design a very cost effective system that included all of the necessary components. And finally, with the application of a special grey paint for the PACLINE track, the system was made to look just like one that could have been used in a munitions factory back in the 1940s. 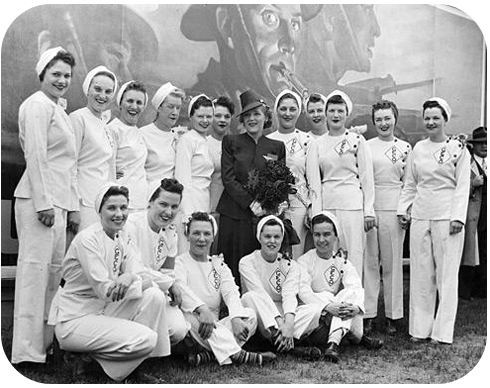 The BOMB GIRLS TV show debuted in Canada and later aired in the United States and the UK. Unfortunately, even with the show’s growing fan base and critical acclaim, the show was cancelled after its second season. Although we had all hoped for the series to continue, producers decided to finally end the BOMB GIRLS story with a 2 hour movie which just aired last month on GLOBAL TV. If you didn’t get a chance to watch the series we highly recommend it.